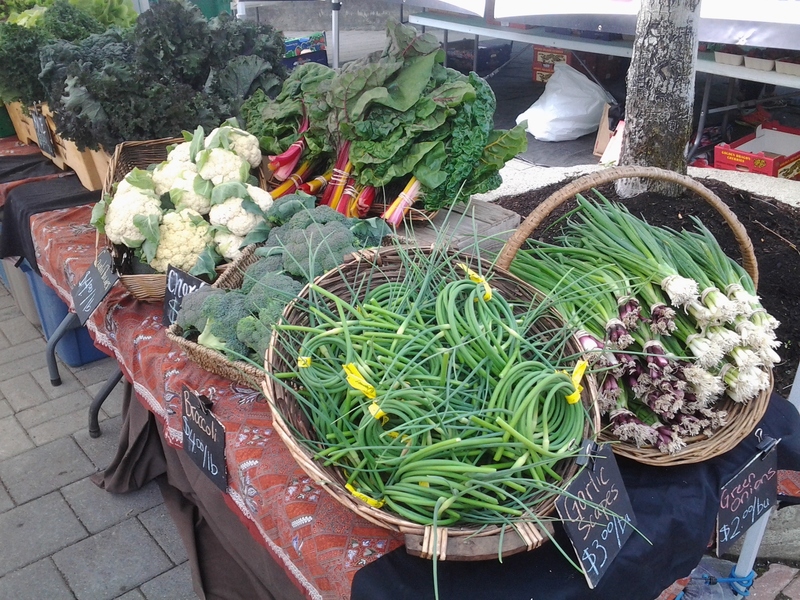 Since opening day on June 16, Rootdown has had a booth at the Whistler Farmers Market. Every Sunday, two of us can be found at our booth near Portabello restaurant, selling a wide variety of produce freshly harvested from our farm. Yes! 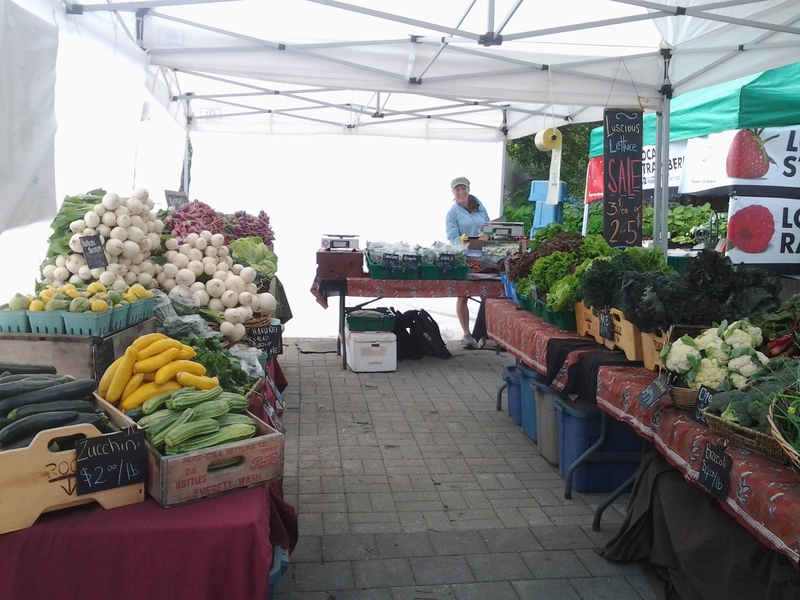 Rootdown is a certified organic farm, and everything that we sell is completely organically grown. In order to maintain our status as a certified organic farm, we undergo an inspection every year to prove that our growing practices fit within the guidelines. We are also certified as a Salmon Safe farm. Where is your farm? How far is it from here? Rootdown is located on Pemberton Meadows Road, about 45km away from Whistler, about a 45 min drive. We bring our food to market with our truck and trailer, arriving at market around 7:30am. My, what large veggies you have! How do these veggies get so big?! Well, probably different from the average garden, the farm is our full time job! So we take great care of our plants, starting most of them inside a greenhouse as seedlings, with monitored temperature and watering. When they are the right size and strength, we transplant them into soil that has been tilled and amended with nutrients like compost and manure. From there, the plants are protected from insects if necessary with floating row cover, and watered, weeded and thinned as needed. We harvest our veggies as close as possible to the time when they will be delivered or sold, so they are fresh for our customers, and are cleaned and stored in our market cooler. 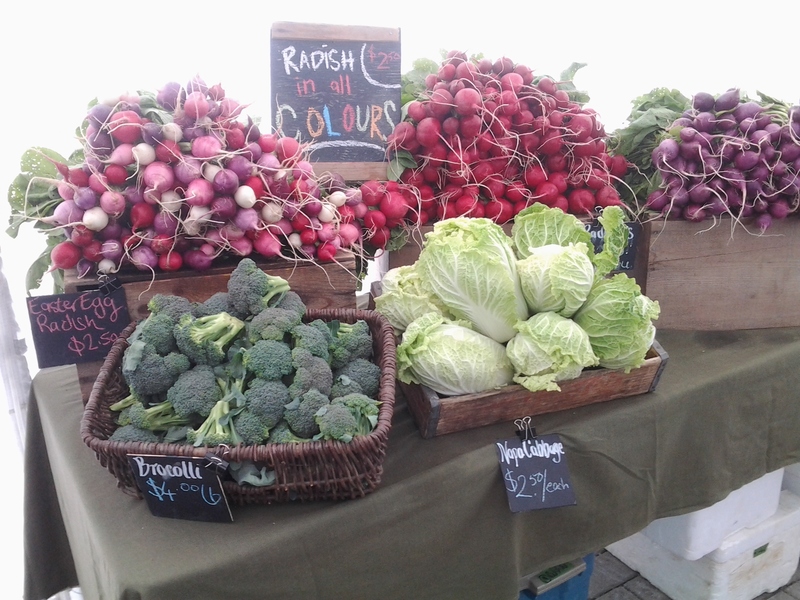 We take great care of our vegetables so they taste and look fantastic! What can I do with ________? There may be some unfamiliar veggies on our market stand, and we are always happy to share our favourite recipes with you. Being fresh, local and organic, most of our vegetables are delicious with minimal interference, cooked with light seasonings or eaten raw in salads. Once all of these ingredients are blended together smoothly, pour over the kale in a large container with a lid, close the lid, and shake until all of the leaves are well coated. To cook the chips, my preferred method is to use a dehydrator, which dries the chips but will not burn them. 2-4 hours at 124-140 degrees works well, just keep checking until they are nice and crispy. They can also be baked in the oven at a low temperature – the higher the temperature, the faster they will cook, but they can go from cooked to burnt in less than a minute, so you have to keep an eye on them! It can be hard to maintain the crispiness of kale chips for more than a couple of days. Store in an airtight container to maintain freshness, but we usually find that we eat them all right away!